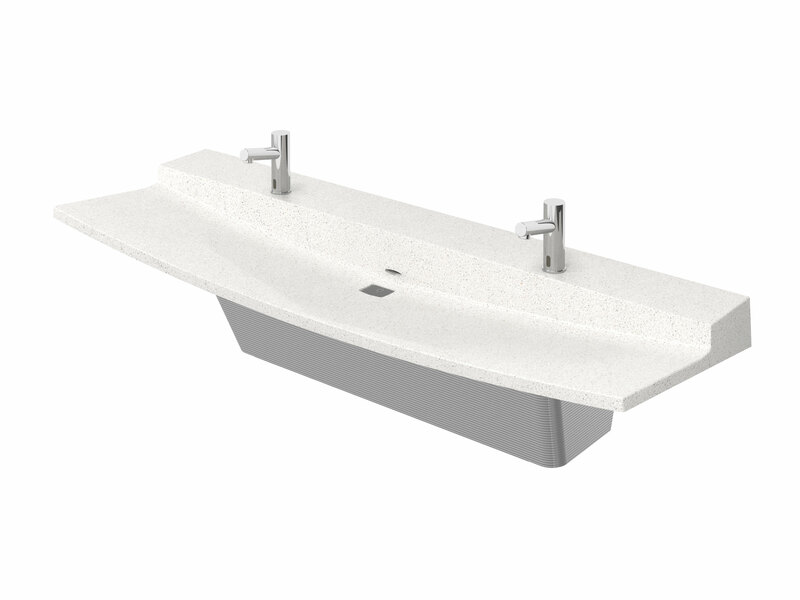 [XPB-LVLD2] The Verge III Two Station Lavatory System is constructed as an elongated basin and fabricated in Evero™ Natural Quartz. This double station lavatory is ADA and TAS Compliant and serves two user at a time. Bowl assembly and pedestal panel are secured to a heavy gauge stainless steel support frame mounted to a structural wall. Choose from two types of materials. Evero™ is a natural quartz surface made from a blend of bio-based resin, natural quartz, granite and other exotic minerals. Or Evero™ Pearl which is a natural quartz surface made with bio-based resin, sea shells, recycled glass and natural quartz. For shipping quotes, orders or questions please call our Customer Service Center at 1-877-483-9270.